We have now reach Comic number 9 of my 25 part Mystery Comic series with 2005’s Day of Vengeance 1. I’ve never heard of Day of Vengeance before. So I had to look them up on Wikipedia, which made me feel better that it wasn’t some long on going series I had never head of. 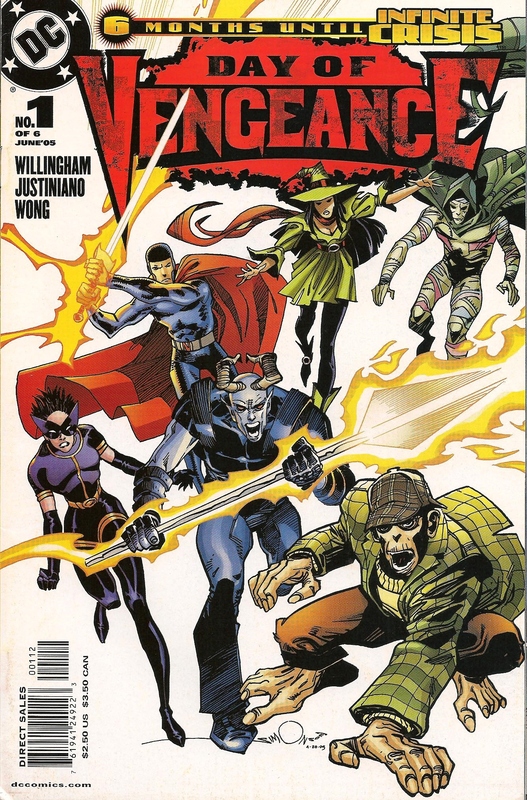 Day of Vengeance is a limited series that came out as a prelude to DC’s Infinite Crisis event. Reading up on Wikipedia revealed there ate some complicated steps that happen before we get to Day of Vengeance 1. It centers around some stuff left over from Identity Crisis that is so comiplicated that I don’t really understand it, and don’t want to get in to it. The long and short of it is that Day of Vengeance centers around The Spectre and the magical characters and elements of the DC universe. The comic opens up with a vague scene of a woman locked up in a weird mansion. She is possibly getting tortured? It’s unclear what is going on and it ends with her putting a crystal to her chest and transforming into some sort of magical wizard or something. I’m assuming the series was purposefully vague about all this and it will come into play later on. 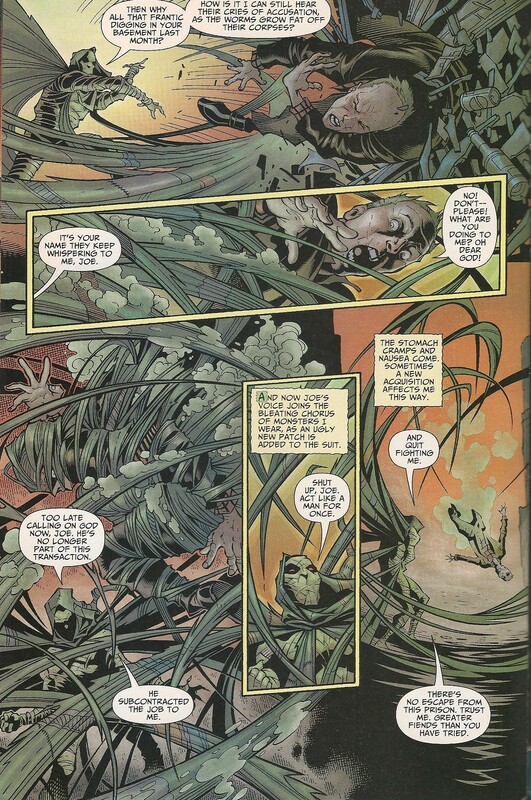 The comic then cuts to an introduction to Ragman which I appreciated, because I had never heard of him before. It was a pretty cool introduction, it shows him in action and gives the reader enough context to figure out what his deal is. The art is really fantastic and managed to make a character with a lame name like Ragman a interesting character. 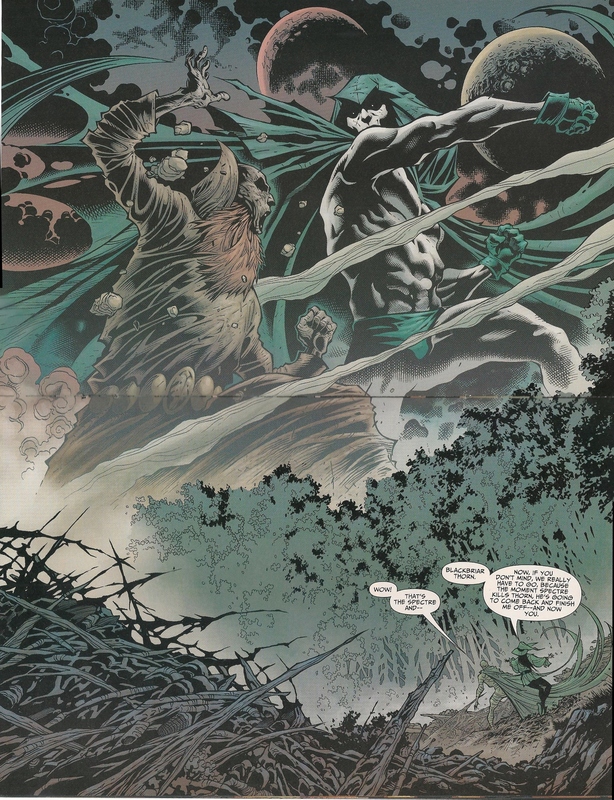 After our introduction Ragman is sent to help out The Enchantress who has been buried in a forest as collateral damage during a battle between The Spectre and Blackbriar Thorn. Enchantress is like we have got to GTFO and Ragman transports the both of them to the Oblivion Bar (a hangout of magical folks). Enchantress tries to gather a group of people together to fight The Spectre who she fears will lead to the death of every magical person. 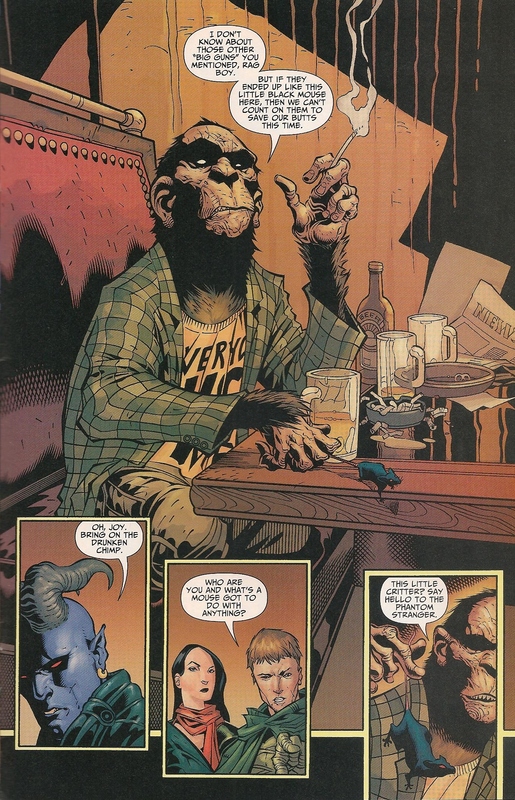 No one at the bar seems eager to take on one of the most powerful members of the magic community except Detective Chimp (yes a talking Chimp) who is ready to go. 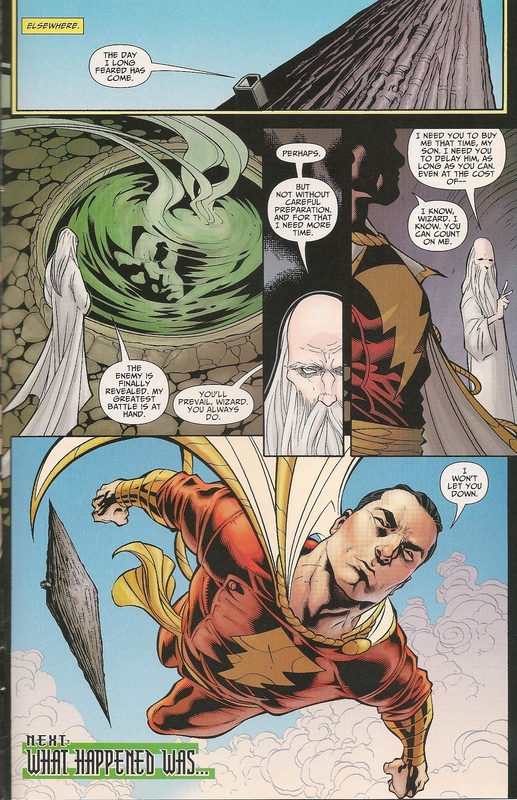 The comic then ends with an allusive scene involving some mystic sending out SHAZAM to take out our new team. Overall I enjoyed the comic. The story telling was engaging and had a good mix of exposition along with vague foreshadowing. The art was fantastic and did a good job of helping tell the story itself which helped cut down or pure expositional text. I think the mystical / magical side of DC is intriguing and would like to be more familiar with these characters. If I see Day of Vengeance collected in trade at a Half Priced books I will definitely pick it up. 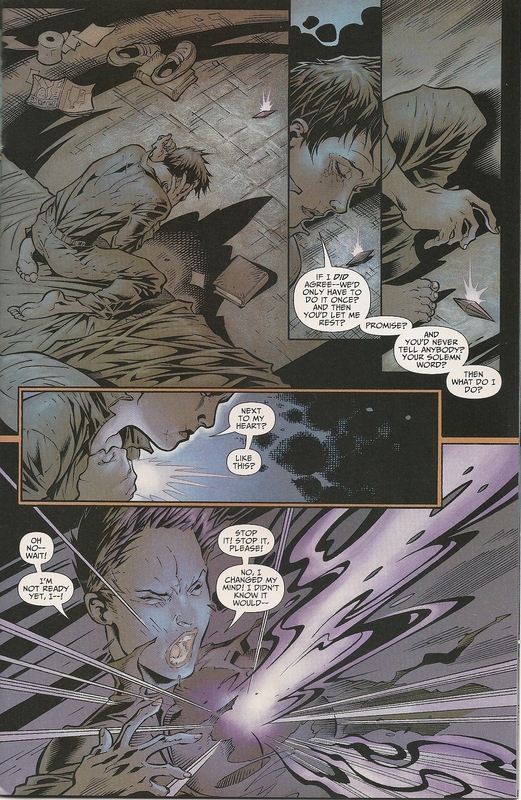 This entry was posted on Thursday, August 20th, 2015 at 9:21 pm	and tagged with 90's Comics, Comic Books, Comics, day of vengeance, DC, dc comics, identity crisis, infinite crisis, mystery comics, woot, woot.com and posted in Uncategorized. You can follow any responses to this entry through the RSS 2.0 feed.